Short story writing, plus project planning, plus media and computer skill development in a senior year curriculum? Yes! Are you looking for a unique writing assignment for your student’s senior year or as an additional assignment for a student who is creative and loves to write? Maybe you’d like to equip your student to create a group yearbook, or a written gift to commemorate a special event or milestone in your family. High School Guide to Creative Chronicling offers all of this and more. This high school guide does more than just teach writing. It encourages students to combine writing with computer skills and photography to create a chronicle of lasting memories. 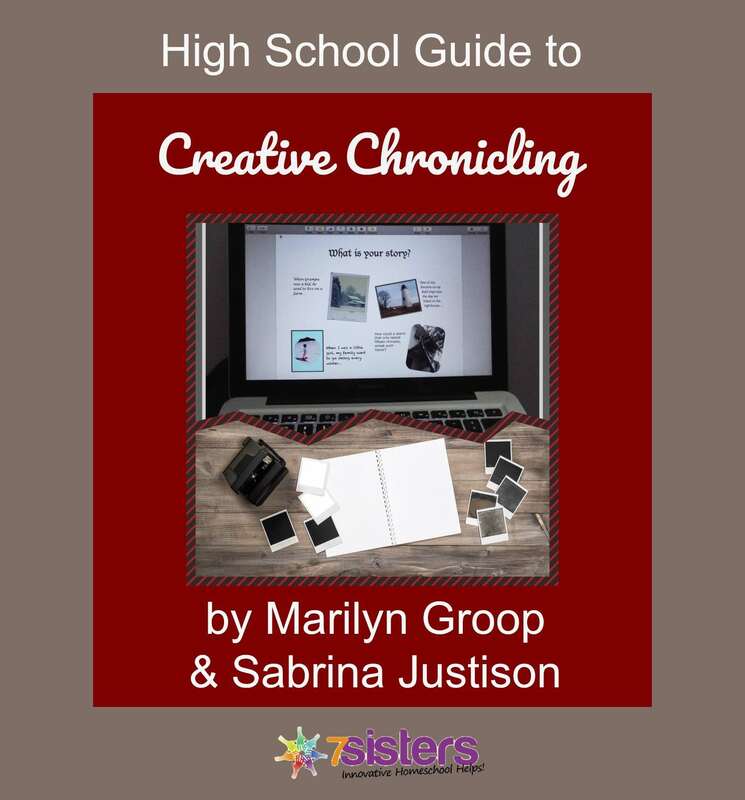 High School Guide to Creative Chronicling is a 38-page downloadable pdf guide, written by Marilyn Groop and Sabrina Justison collaboratively to encourage upperclassmen to capture memories with excellent short-story writing, photography and photo editing, formatting, and creative presentation that results in a true keepsake book. High School Guide to Creative Chronicling is a blend of creative-academic-meets-real-world-writing that is perfect for seniors who already have built strong writing skills with essays, research papers, short stories, poetry in the earlier years of high school. and designate a printing and binding style for powerful presentation. As with all 7Sisters’ curriculum, the friendly, conversational tone of the text helps students learn while having fun, and all with NO-busywork. A grading rubric is included for the short story portion of the project, and suggested evaluation points are included for the Creative Chronicle as a whole. Designed for independent learning for mature students, or learning with a bit of guidance from an adult for slightly less confident students or for co-ops, youth groups, or extended family groups, upperclassmen will really enjoy themselves AND gain a number of writing and real-life skills as they complete the High School Guide to Creative Chronicling. Click here to view an excerpt from High School Guide to Creative Chronicling.